The 2018 holiday shopping season is approaching quickly. With ecommerce revenue predicted to rise again this year, all eyes are on ecommerce merchants. With promotions flooding into customer inboxes, merchants need to be prepared to leverage an underused marketing channel: Facebook Messenger. 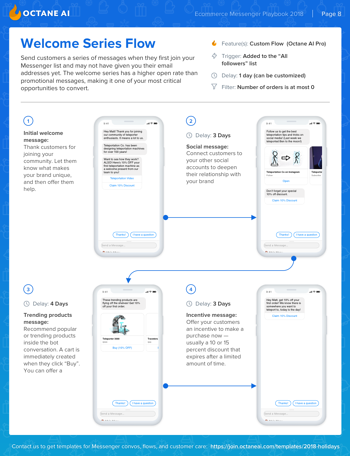 To help merchants with holiday Messenger marketing, our team put together a Messenger Playbook. The Playbook covers all the campaigns, flows, and integrations you need to implement. It’s free to download. 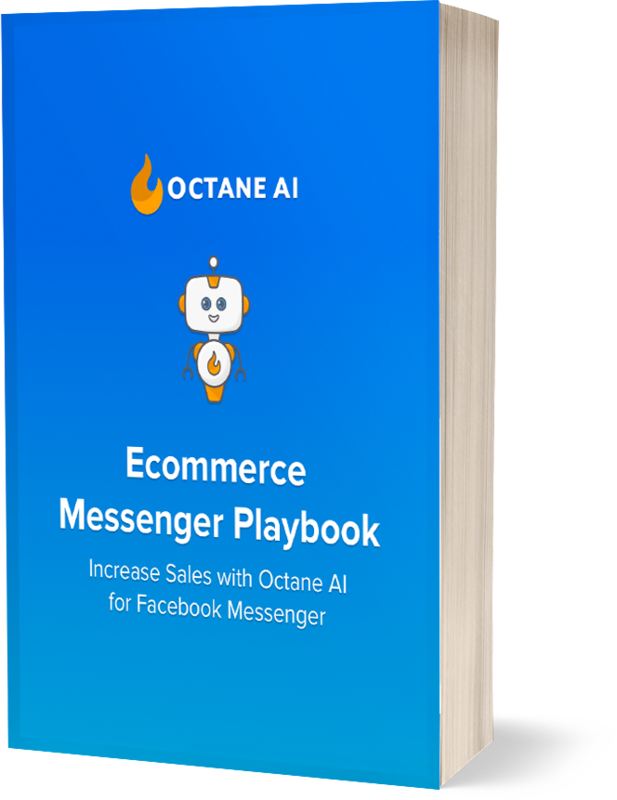 We started Octane AI over 2 years ago and have poured all of our ecommerce knowledge into this playbook. 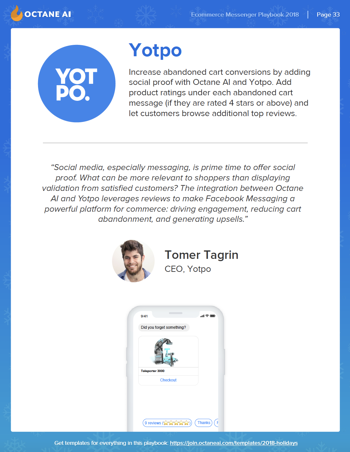 We worked with ecommerce experts, agencies and merchants to create this playbook, so you know you're getting expert advice. Click the button below to get your playbook. It's free!